In London and New York City, vacant warehouses and industrial buildings were converted into apartments after the 1940s. nolte neo Loft makes direct reference to the urbanity, free spur-of-the-moment design and open nature of this form of living. 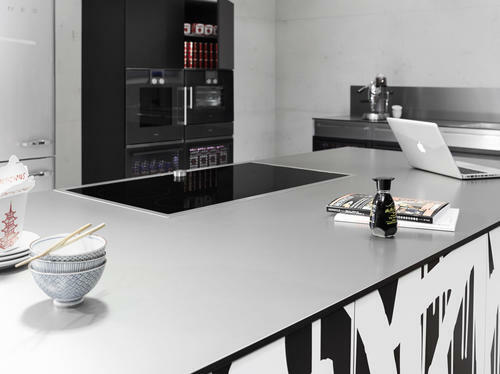 The worktop is made from extremely robust solid material just 12 mm thick of the kind normally used in facade construction. It stands out through its extremely fine appearance, the black core emphasizing the contours. In addition, it can meet all the stresses encountered in everyday life in the kitchen. 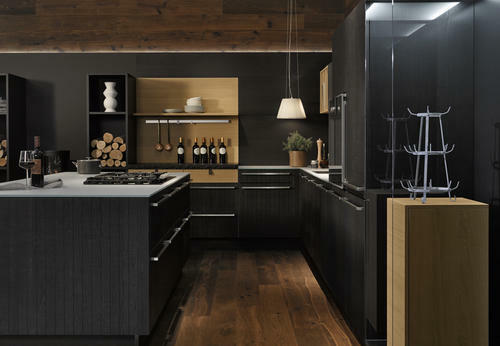 It goes without saying that nolte neo Loft also includes larder modules and appliance modules for an ergonomically raised oven. 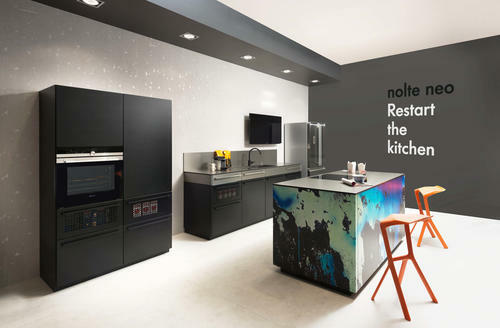 With their soft mat lacquered black fronts and transparent perforated plate accents, as well as the free-standing side-by-side fridge, they complement the world of nolte neo Loft perfectly. “Chalet” is derived from the Latin word “cala” meaning “a safe (protected) place”. The original meaning: “Alpine hut”. 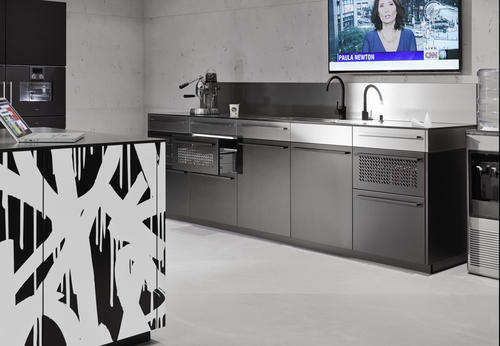 nolte neo Chalet re-interprets the style and original materials of this form of living – and translates both into the kitchen. A genuine ethanol oven brings warmth and homeliness. An open shelf unit adds an unusual touch through its vertical partitioning. Oak cognac veneer in combination with the rough charm of grooved dark CHALET oak mocha. All these elements from nolte neo Chalet are more than just the sum of their individual parts: they form a self-contained world. 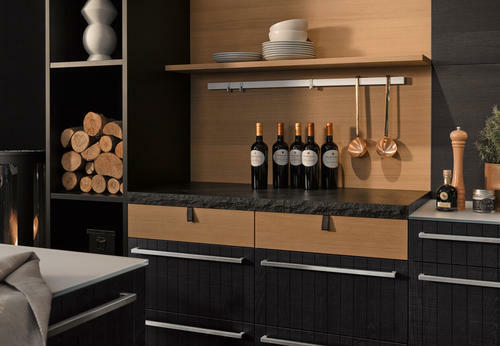 The Workstation module has a 50 mm thick granite worktop and drawer front in oak cognac veneer. The same wood tone is also used for the recess panelling and wall shelf. As a result, the module forms an interesting contrast to the remaining genuine wood CHALET fronts in grooved oak mocha. The leather loop on the drawers adds the finishing touch to a perfect composition. Salon is not a purely spatial term. It is both a place – a large room or meeting place – and a cultural event. nolte neo Salon reflects both aspects and reproduces them in great detail. The kitchen as the centre of opportunity.